Preheat the oven to 375 degrees. Grease an 8x8x2-inch square baking dish. 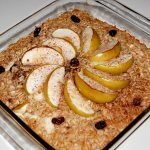 In a medium bowl, combine the oats, baking powder, salt, and spices. In a small bowl, whisk together the melted butter, milk, honey, and egg. Slice the bananas and arrange in a thin layer along the bottom of the prepared baking dish. Add half of the oat mixture, and then the chopped apples and raisins, if using. Add the remaining oat mixture. 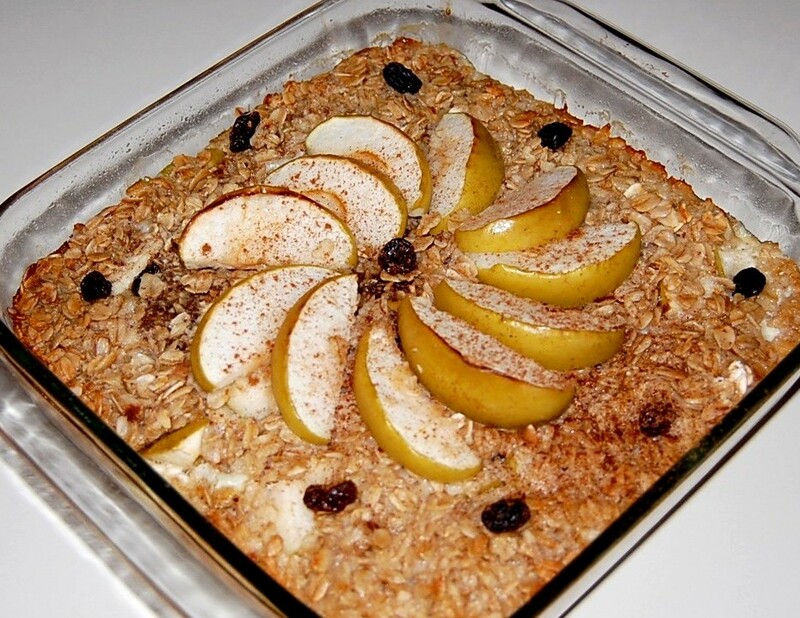 Arrange sliced apple on top and press into oat mixture. Pour milk mixture over all and sprinkle with cinnamon. Bake for 35 to 45 minutes, or until the mixture is a light golden brown along the edges. Cook's Notes: 300 calories per serving. You can reduce 95 calories per serving by omitting the butter and raisins, and using a low-calorie sweetener instead of honey, without sacrificing taste.